Rookies – you aren’t alone! We’ve been there, and understand that overwhelmed, yet excited feeling that goes into planning the Disney World vacation of a lifetime. You are however, an advanced rookie which shows as you read up on articles such as this to make the most out of Disney. So, way to go! Since dining experiences at Disney World have been some of our most memorable moments, we thought best to share these top 10 rookie dining mistakes. We’ll happily let you learn from our blunders! What are you doing 180 days from today? 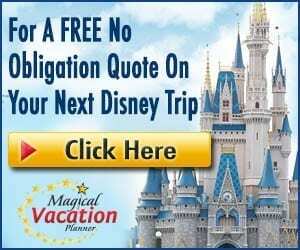 Typically, we don’t have a grasp on our crazy schedules that far in advance, but when Disney World is involved – we do! The 180-day time frame is so important for both Disney resort and non-Disney resort guests because you can start booking your dining reservations 180-days in advance. If you are a Disney resort guest, you do however get an added benefit of booking dining reservations for the entire length of your stay – up to 10 days. This means you could technically have a 10-day jump on non-resort guests to snag those hard to get reservations! Reservations open at 6:00am online and 7:00am by phone. Want a coveted Be Our Guest Restaurant reservation? You’ll want to be logged into your My Disney Experience account and ready to book your reservation at exactly 6:00am. TIP – download a countdown app to keep track of your 180-day mark. One of our biggest rookie mistakes was forgetting to check out the menus and budget for meals in advance. There is nothing worse than getting the bill at the end of a memorable meal only to be blindsided by the total! Menus are available on the Disney website and prices are typically included. Budget in advance so you’ll know exactly what to expect! TIP – looking to save a little money? At Quick Service locations, we like to order a kid’s meal. It’s lighter on the stomach and on the wallet! The dining plan is especially popular when “Free Dining” is offered. In order to receive a free dining plan, you’ll need to purchase a Disney room and ticket package by staying during their allotted timeframe and at select resorts when the promotion comes available. Outside of free dining, Disney resort guests can purchase one of three dining plans. Ranging in price and meal/snack allotments – you’ll want to be sure the dining plan will in fact save you money. When calculating the dining plan options for our family, we’ve personally found the dining plan would cost us more than regular dining costs. Some people however live by the dining plan and it saves them in the long run! TIP – look over menus in advance and get a rough idea of what your meals will cost you. Compare your vacation total to the total cost of the dining plan. Which wins out for your family? A percentage here and there can really add up! Check to see if you are eligible for discounts in advance. Some of our favorites discounts include Tables of Wonderland, Disney Chase Card, Disney Vacation Club Member, and Annual Passholder Discounts. TIP – a Disney Chase Card is one discount just about everyone can do, and the perks are truly awesome! Mobile Ordering might be new to the Disney World quick service scene, but it’s easily our favorite addition to Disney World dining! We can’t say enough of how efficient and easy the process is. Download the My Disney Experience app and pull up a quick service restaurant like Satu’li Canteen or Pizzafari. If mobile ordering is available, you’ll see a mobile order button. It’s a simple step by step process of browsing the menu, adding the meals to your cart, and checking out by making payment right there on your phone. Arrive at the restaurant, let them know you are there, and your food comes out super-fast! It’s brilliant. TIP – an easy way to stay occupied while waiting in an attraction line is by placing your food order for later that day! It’s as if Grandma rang the dinner bell and everyone comes a’ running! Avoid the prime eating hours if at all possible, especially at quick service locations. Prime hours for breakfast are 8am – 9am, lunch is 11:30am-1:00pm, and dinner is 5pm-6:30pm. Quick service restaurants are especially a bad idea during the prime hours because of lack of seating and long lines. TIP – eating at weird hours can be a change up from your routine. Pack a couple of simple snacks that will hold you over between meals. So excited to hit the theme parks that you haven’t stopped to think about what your Disney Resort offers for dining? From in-room dining to superb high-end restaurants, check out your resort dining options in advance and add them to your reservation list. Some of our very favorite restaurants like ‘Ohana, California Grill, Olivia’s Café, and Whispering Canyon are located at Disney Resorts. 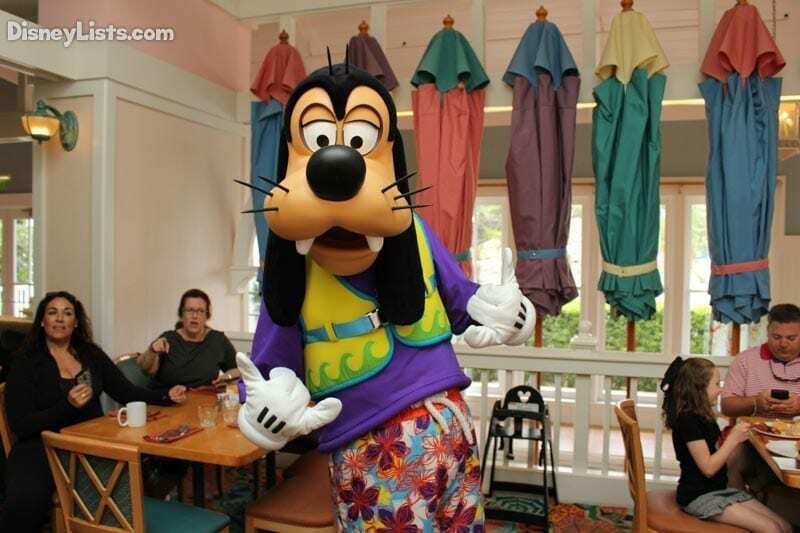 TIP – even though it is a Disney Resort restaurant, reservations do fill up quickly for some locations. 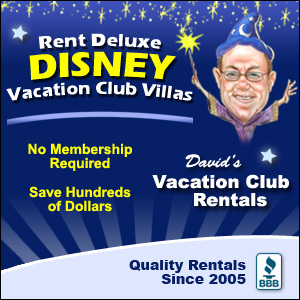 Book at the 180-day mark for resort restaurants too! At least once, if not a bunch more… we recommend trying character dining. We’ve heard time and time again that couples without children pass on character dining. Sure, it might be geared towards children but that doesn’t mean adults won’t have an awesome time. 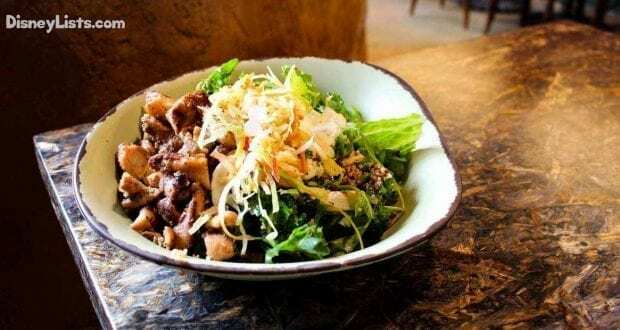 The food is bountiful and delicious and the experience is well worth the price! TIP – looking for an entertaining meal without Disney characters? Check out one of the two most popular dinner shows: Hoop-Dee-Doo Musical Revue or Spirit of Aloha. To put it bluntly, we’ve seen some funky things on restaurant menus around Disney World. What we might consider funky might be another’s favorite however! 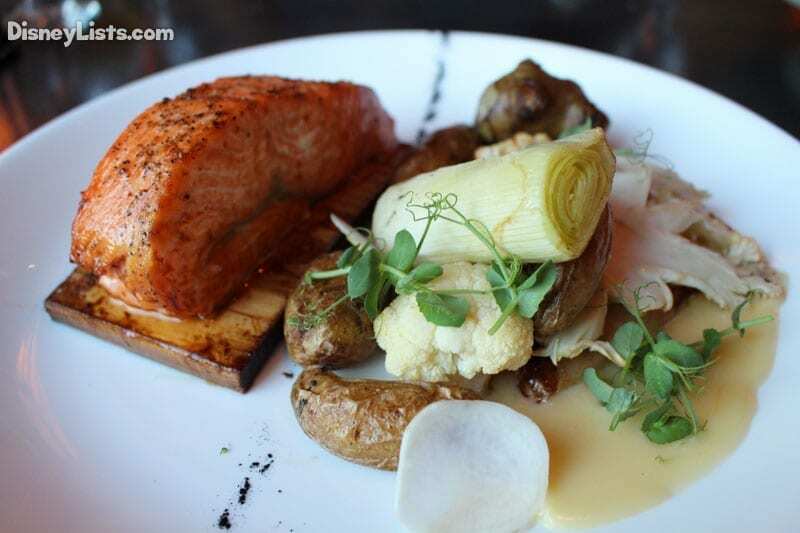 From duck liver, to wild boar belly, and even bone marrow – chances are Disney has it. Whether you want to be super adventurous or stick with the basics, Disney has menus filled with variety. Go ahead… try something new! TIP – buffet meals are the best way to try new food items because it’s all included in one price. Yes, the entrees at Disney are delicious! While we’ve had some better than others, we can’t say we’ve had a disappointing meal at Disney. A huge rookie mistake however is to get the largest entrée you can only to be too full to enjoy a dessert or specialty drink. Save room so you can taste it all! TIP – mistakenly fill up at a meal? Find a dessert or drink cart/kiosk in an hour or so when your stomach has time to settle. Not a rookie to Disney dining? We’d love to hear your dining tips!